Do you know a group in your organization that goes above and beyond to make collaboration within your organization happen; one who shows great leadership skills? Nominate them for the Synergy Award! The Synergy Award is designed to celebrate and encourage a group of people that have exemplified what it means to lead and collaborate to reach the goals of Hospice. When Hospice of Palm Beach County and Hospice by the Sea combined to form TrustBridge Health, many of the structures in place were no longer relevant in the current healthcare environment and created barriers for staff, wasted time or resources, and restricted the service excellence the new organization strived for. More than 140 leadership staff established a Quality Assurance & Performance Improvement (QAPI) project that reached beyond what either hospice organization had ever accomplished. They adopted the principles of Lean Theory as an organizational long-term commitment, engaged a consultant for the project, and named the initiative QAPI+. The QAPI+ Project is a group of interdisciplinary employees from multiple departments overseen by project analysts. Frontline staff lead the group, with managers, directors and C-level staff working side by side with them. Together, they are called the Sustaining Innovation Group. Going forward, the Sustaining Innovation Group will grow and exchange members, continually combining people from different places in the patient care process, from billing, to supply distribution, to nursing. Each and every one of TrustBridge Health’s 1,500 employees has the opportunity to contribute to the growth of the organization. The Sustaining Innovation Group serves as the pulse of the organization, constantly searching for ways to create happier employees through better processes—both of which translate into happier patients and families. 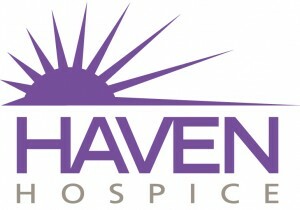 After a rigorous evaluation process, the Haven Hospice Executive Leadership Team chose Pam Giebeig, a hospice nurse; Tangela Wilson, a respiratory therapist; Vonceil Levine and Katie Alphahando, clinical social workers; and Arthur Clark, vice president and chief information officer to be Haven Ambassadors for a September 2013 exchange trip to Grahamstown Hospice. Upon their return, Haven Ambassadors created a presentation of photos, stories and music which they brought to all seven Haven Hospice offices that serve 18 counties across North Florida. With every story, our ambassadors have been able to remind Haven clinical and administrative staff about self-care — taking a moment in the day to slow down, being more present, and being patient with the pace of their day. Staff are now more mindful of the resources we have in the field and how to be better stewards of those resources. They also raised awareness among the Haven employees of the challenges Grahamstown Hospice is facing and how their donations could uplift so many lives. The South African Partnership committee was formed to support the efforts of the Suncoast Hospice alliance with Hospice Association of the Witwatersrand in Johannesburg and Soweto, South Africa. The partnership was formed in 2001 and has built momentum every step of the way including receiving the inaugural global partner award from FHSSA in 2011 recognizing outstanding partnership efforts to improve palliative care in South Africa. Building a sustainable partnership is not easy and many challenges surfaces along the way. The partnership committee has worked tirelessly and diligently to keep our sister hospice at the fore-front of our initiatives and sustainable. The immense pride our partnership team feels about our South African partnership has easily translated into making a difference to our own Suncoast Hospice patients and families. They are a testament to how a passionate team can make a difference well beyond its stated mission. In his presentation at the 2010 FHPCA Forum on connecting with Alzheimer’s and dementia patients, Memory BridgeTM founder Michael Verde inspired three separate Treasure Coast Hospice workgroups to do more for dementia patients and caregivers. Professional Relations representatives (hospice liaisons) began looking for value-added services for provider partners. Social Services professionals saw a better way to help caregivers connect with dementia patients. Volunteer Department staff desired to expand on earlier successes with dementia-specific training. Their collaboration created the first hospice program in the country dedicated to building a bridge of hope and eliminating the loneliness and isolation of dementia. If you know of anyone that would be fitting for the Synergy Award you can nominate them here. The deadline to nominate for The Catalyst Award is April 1st.